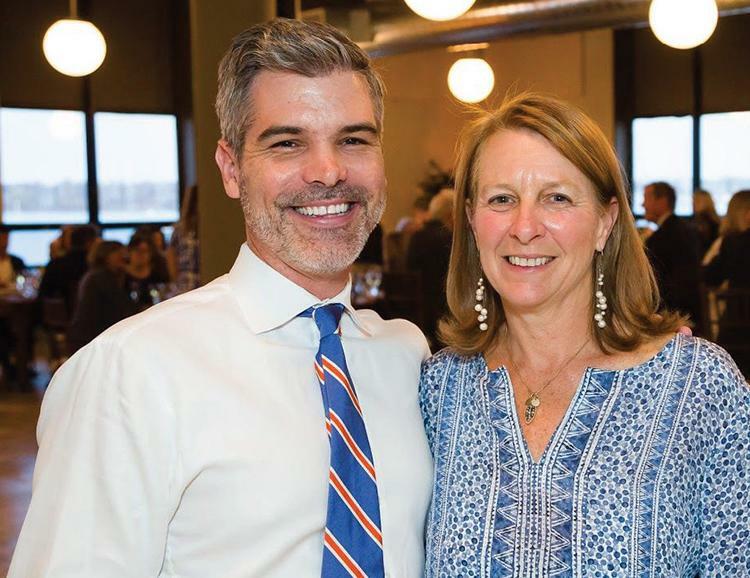 It’s been less than three weeks since I started, and with support from Jen, the Root staff, members of the board, and others, it’s been wonderful to “jump right in”! Shortly after my first day, I had the opportunity to attend an event at The Boston Foundation for their release of The Work of Leisure, the first study of the Massachusetts' leisure, hospitality, and tourism workforce completed in nearly 30 years. 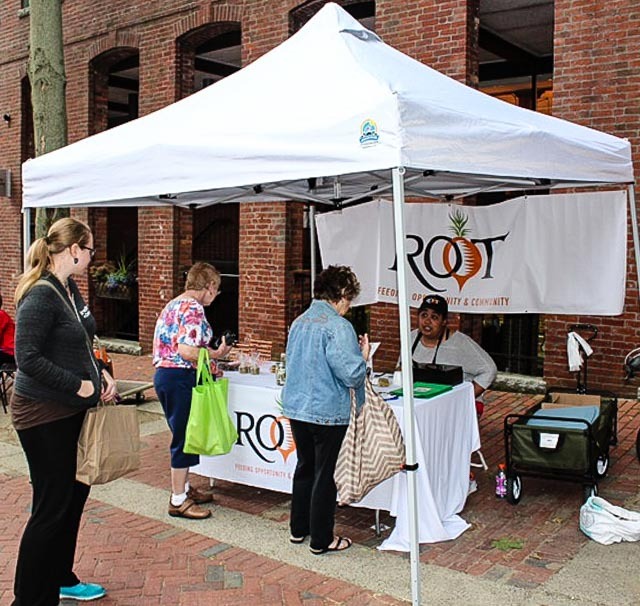 The report loudly affirms Root’s mission with sector and employer data, as did Mayor Kim Driscoll, a panelist at the presentation who cited Root as an important part of the economic health of the Salem community (thank you, Mayor Driscoll!). For those curious to dive into some of the data, I encourage you to take a look - it’s a fascinating read. I look forward to meeting more of Root’s community of friends, champions, donors, and volunteers in the coming months. It is an honor to be a part of such a dynamic and thoughtful community dedicated to expanding opportunity for young people. In the meantime, please do not hesitate to reach out or to stop by for a coffee and treat at the Root Café (our blueberry scones are the best I’ve ever had! ); please be sure to say hello if you do! 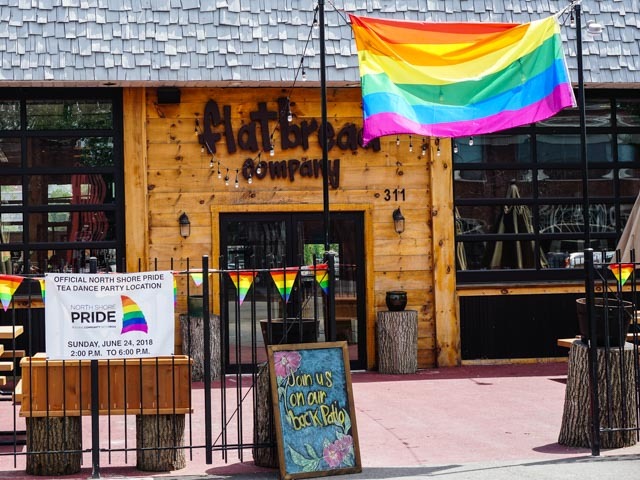 A huge thank you to our partner and neighbor, Flatbread Pizza , for hosting their third Root Program Partner, Patrick, who can be seen at Salem's Flatbread on Wednesday afternoons this summer. 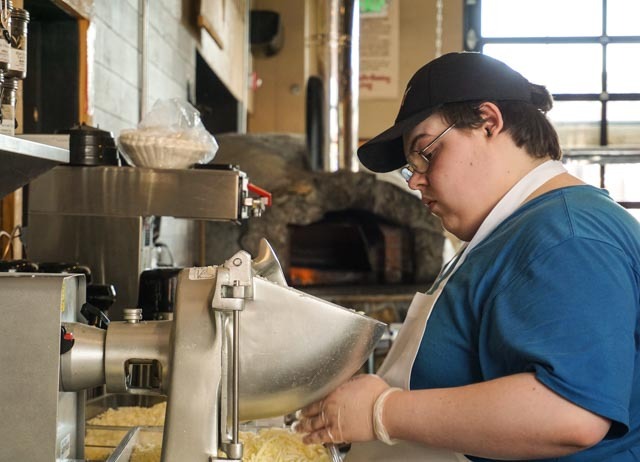 Flatbread’s Mike Brooks appreciates the opportunity to be a part of the training program and says, “To see Root thriving and helping the community right up the street from us is incredibly inspiring.” We are inspired by their continued support of our program and the opportunity they provide our young people. 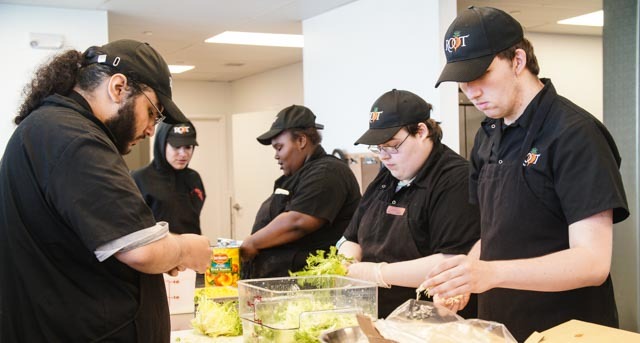 The externship component of our 12-week program is a valuable experience for our young people, providing the opportunity to practice and hone the hard and soft skills they learn in the kitchen and classroom at Root. Root is proud to partner with over three dozen area restaurants and businesses around the North Shore as part of our externship program. For more information on our externships, contact Mike May . ONLY A FEW DAYS LEFT TO MAKE YOUR GIFT TO ROOT GO TWICE AS FAR! Root’s spring appeal hit mailboxes last month, but you can still double the impact of your gift by donating to Root today! The $25,000 matching challenge for the spring appeal ends June 30th. Supporting Root is easy! Click here to make your online gift today or contact Faith Emerson for more information. Thank you for your continued support, together we are Feeding Opportunity and Community. MEET OUR PROGRAM ASSOCIATE, NEVADA W.
The Root Program Associate is offered to a graduate and allows them to stay on in a full-time, paid position at Root to continue their training for another 12 weeks. This position offers the young person the ability to further broaden their skills and/or deepen their experience in one particular area. Nevada is a terrific addition to the Root team! Most days she can be found in the kitchen alongside Robin, our amazing pastry and sous-chef, preparing the delicious treats offered in the Root Café and our stand at the Salem Farmers’ Market. If any of you are a fan of the delicate Earl Gray tea cookies, Nevada is the one who found the recipe and tinkered with it to bring it in to production! 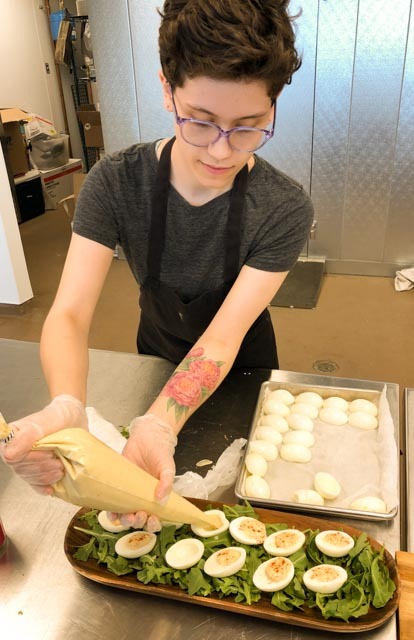 In addition to working in the kitchen, Nevada also works with Program Director, Beth Alaimo , to help with projects for our Youth Workforce Development program. She is a great mentor and role model for the young people in our program. For more information on the Program Associate role and/or our Youth Workforce Development Program, contact Beth . ROOT IS OUT AND ABOUT ON THE NORTH SHORE! Can’t make it to Shetland Park? Root is out and about on the North Shore this summer! Visit us each week at the Salem Farmers’ Market, Thursdays 3 to 7 PM, to stock up on Root favorites, including pickles, BBQ sauce, Salem HarBars (our decadent, chewy granola bars), tea cookies, our amazing chocolate chip cookies, and more! You can also stop in at one of our upcoming pop-ups, we will be at Bent Water Brewing in Lynn on July 12th from 5 to 8 PM, and True North Ale Company in Ipswich on August 5th from 12-3 PM. Follow us on Facebook or Instagram for more details, we hope to see you soon!